The Yo-Yo test is a maximal aerobic endurance fitness test, involving running between markers placed 20 meters apart, at increasing speeds, until exhaustion. The test was developed in the 1990s by the Danish soccer physiologist Jens Bangsbo and his colleagues, and is now one of the most commonly conducted fitness test around the world. 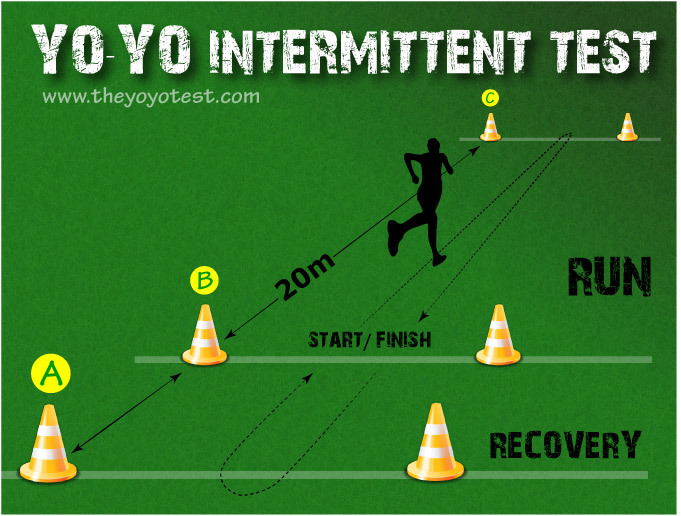 There are quite a few variations of the yo-yo test (see Yo-Yo Test Versions), though the most commonly used version is the Yo-Yo Intermittent Recovery Test Level 1, also called YYIRT1, IR1, or something like that. It is this intermittent recovery test that most people will mean when they talk about the yo-yo test, and is the version that most teams will be using for testing their athletes. Yo-Yo Intermittent Recovery Test Level 1 involves running between two markers 20 meters apart, following audio cues which dictate the running speed required. After each 40 meters run, the participants have an active break of 10 seconds before running 40 meters again. At regular intervals, the required running speed increases. The test continues until the participants are no longer able to keep up with the required pace. The yo-yo test was developed primarily for football (soccer) players, though it is becoming a popular test for many team sport athletes, with even the Indian cricket team using it as a selection criteria. The Australian football draft combine have replaced the beep test on their testing program with the yo-yo test, and we may see this happen more as the yo-yo test is seen as more specific for the intermittent-type field running sports. We have listed the instructions for conducting the test. 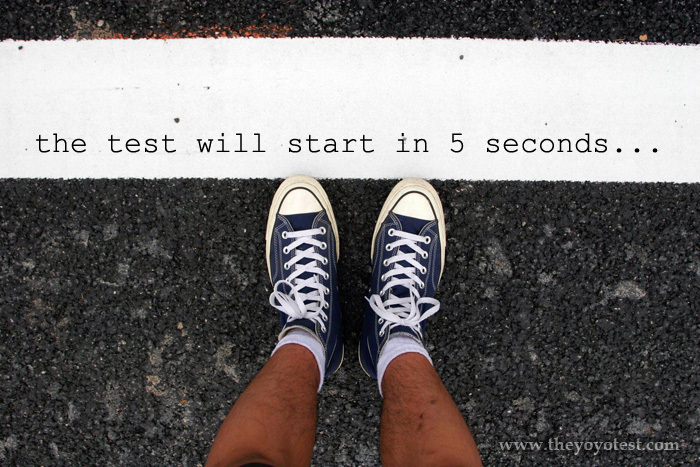 The timings for the test is not simple, and to conduct the yo-yo test you need an audio recording of the test (some buying advice here). The results will depend on the version used, so you need to make sure which one it is (see these tables for comparison). For the YYIR1, test scores can range from level (or stage) 5 up to level 23, though females may average around 12 and males 16. What is a good score? There are fitness rating tables for the YYIR1. Do you want to improve your score? Read our guide to preparing for the yo-yo test, a guide to maximizing your score and training tips.